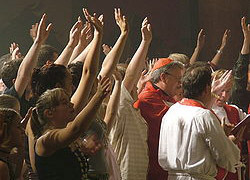 Uniquely, the ICCEC is not a schism or splinter group from another denomination. The CEC-NA is not affiliated with the Episcopal Church USA, and is not a break-off of that church. It was a unique work of God borne into the hearts of dedicated and faithful clergy from a number of denominations (Pentecostals, Baptists, Anglicans, Lutherans, Independent Charismatics, Wesleyans, etc.) who studied, prayed over, and witnessed this need for a house of convergence. They were burdened for a church that not only exercised apostolic authority within a liturgical framework but operated under the inspiration and anointing of the Holy Spirit. 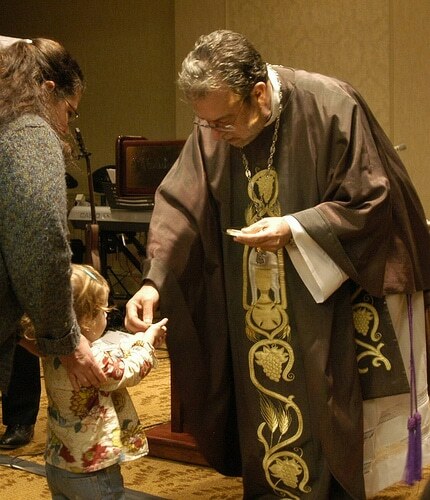 On June 26, 1992, Father Randolph Adler was consecrated as the church’s first Bishop and Primate. We blend these three streams into one river of worship. 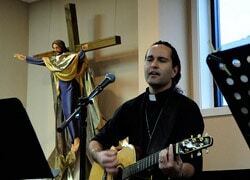 Our worship is Biblical, liturgical and Spirit-filled, ancient and modern, holy and joyful.